PRIME Minister Peter O’Neill has warned Pacific island countries to prepare for extreme weather caused by climate change. O’Neill expressed concern for the people of Fiji following the destruction caused by Cyclone Winston last weekend. O’Neill offered PNG’s support to Fiji in its recovery effort following the disaster. “The Category Five cyclone Winston, the worst ever experienced in Fiji, is sadly another example of the greatest threat to Pacific Island nations,” O’Neill said. “While our region faces pressure from global economic changes, nothing is more threatening to Pacific Island nations than extreme weather exacerbated by climate change. He extended his condolences to communities in Fiji who had lost lives, sustained injuries and had seen property destroyed. “PNG stands with our Pacific brothers and sisters in Fiji and we are ready to help where we can,” he said. O’Neill, as chairman of the Pacific Islands Forum, called on all Pacific Island Nations to place increased focus on preparedness for extreme weather, while working with global partners to limit emissions that will exacerbate the problem in the future. 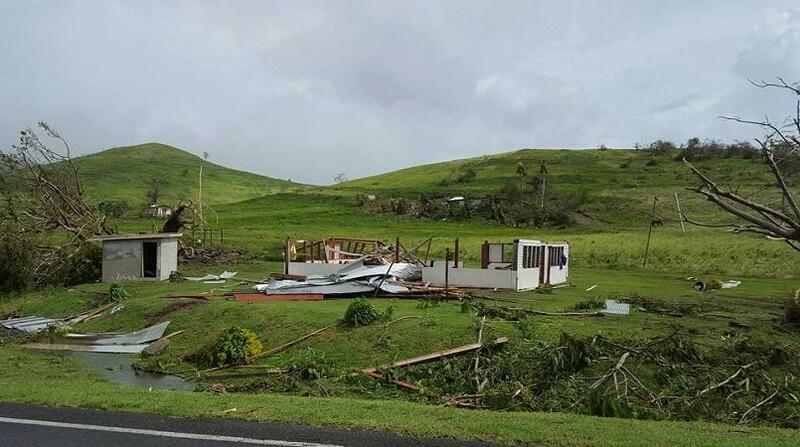 Meanwhile, according to stuff.co.nz, most of Fiji was without power yesterday and some villages have been totally destroyed by Cyclone Winston, with one resident saying she could not “begin to comprehend” how she had survived. Five people have been confirmed dead after the powerful storm struck on Saturday and overnight. An elderly man of Nabasovi, Koro Island, became the first victim of Winston after a roof top fell on him, the Fiji Broadcasting Corporation (FBC) confirmed. And Fijian media report deaths including two in Ovalau island, one from Koro Island, one from Tailevu and one from Ra province, in the north of Viti Levu. The country is under a curfew which will be lifted today, at 5.30am, the National Disaster Management Office advised. All public transport services will resume at that time. Civil servants are being asked to report to work today, while the Disaster Office will continue to monitor the situation and update the public.